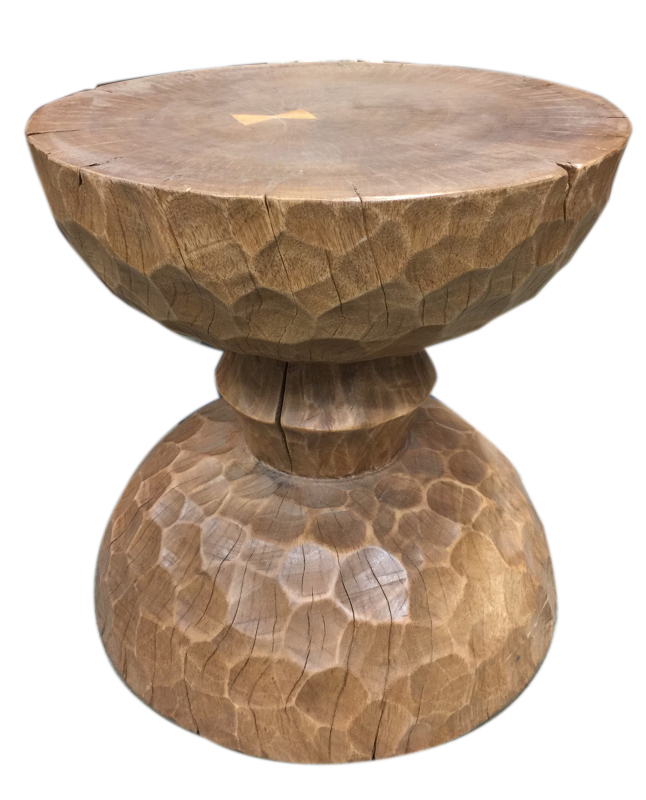 ​​The chiseled hour glass end table functions equally well as a side table, stool, or occational table. It's a substantial piece skillfully carved in reclaimed tropical hardwood possessing rich honey tones with tons of character. Each piece is different from the next and may vary from the photo. It measures 17" x 17" x 18" tall. 53 lbs.